In 2017, the Marine Mammal Commission received a grant award from the North Pacific Research Board to identify essential components and key impediments to effective co-management of marine mammals in Alaska. The overall goal of this project is to strengthen relationships and support co-management to improve the conservation of marine mammals in a region where they provide food security for Alaska Natives and are also of critical ecological, social, and economic importance. 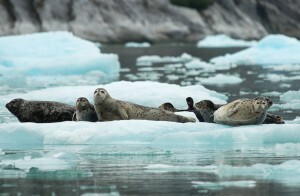 Co-management of Alaska marine mammals is a key provision of the Marine Mammal Protection Act (MMPA). Under the authority of Section 119 of the MMPA, the U.S. Fish and Wildlife Service (FWS) and the National Marine Fisheries Service (NMFS) can enter into cooperative agreements with Alaska Native organizations (ANOs) to manage marine mammals harvested by Alaska Natives for subsistence and cultural purposes. Develop a working definition of co-management under Section 119 that is acceptable to all ANOs and federal agency co-management partners. discussions with co-management partners and community members on their respective roles in establishing and maintaining effective co-management relationships. Provide recommendations for improving co-management relationships that account for the constraints of available resources . Create guidelines to aid in the creation of improved or new co-management agreements. Of the cooperative agreements established between ANOs and agencies, upon which co-management relationships are built, some have been more effective than others. A preliminary analysis suggests that the most effective agreements are those that emphasize strong communication between partners, agreement on information to be used in management decisions (stock assessments, harvest data, indigenous knowledge), and measures to resolve conflicts. The primary objective of this project is to identify characteristics of, and impediments to, effective co-management. To help achieve this objective, we have assembled a Steering Committee of Alaska Natives and federal resource managers from NMFS and FWS to guide the project and provide advice on engagement of co-management partners and community members. 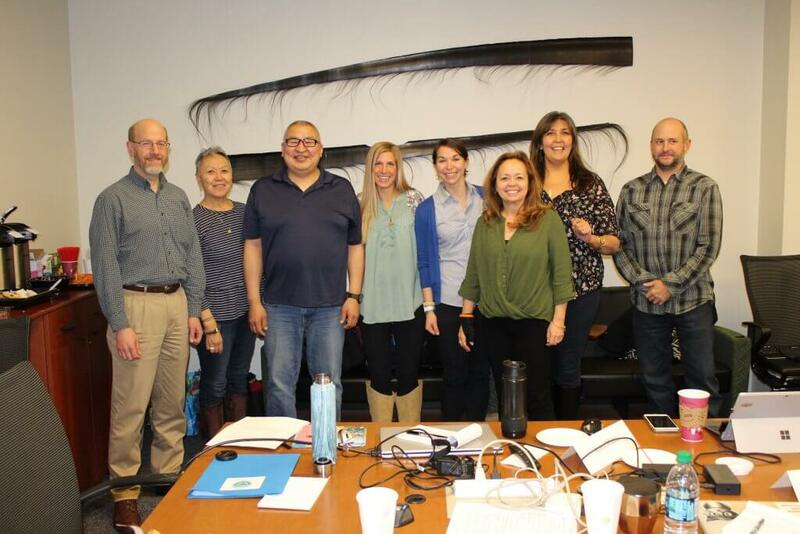 At our March 2018 meeting, the Steering Committee developed a working definition of co-management for the purposes of the project that we will use in discussions with stakeholders over the course of the project, including the Indigenous Peoples Council for Marine Mammals (IPCoMM) at their April Board of Directors meeting. Our working definition of co-management is: “a partnership based on trust and respect, established between an Alaska Native Organization, as defined by the MMPA, and either USFWS or NMFS, with shared responsibilities for the conservation of marine mammals and their sustainable subsistence use by Alaska Natives”. 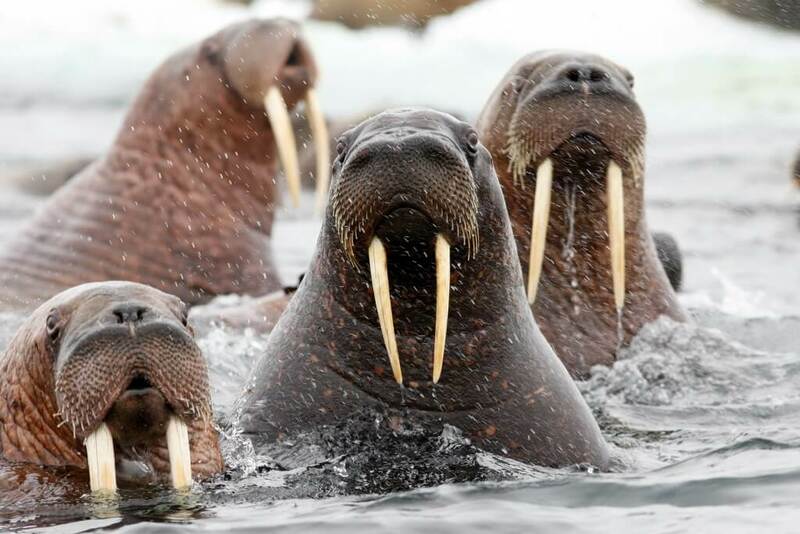 The Steering Committee also identified three ANOs/cooperative agreements for in-depth review: Eskimo Walrus Commission (EWC), Aleut Community of St. Paul Island (ACSPI), and Aleut Marine Mammal Commission (AMMC). These ANOs/agreements represent a diversity of Alaska marine mammal species and regions. 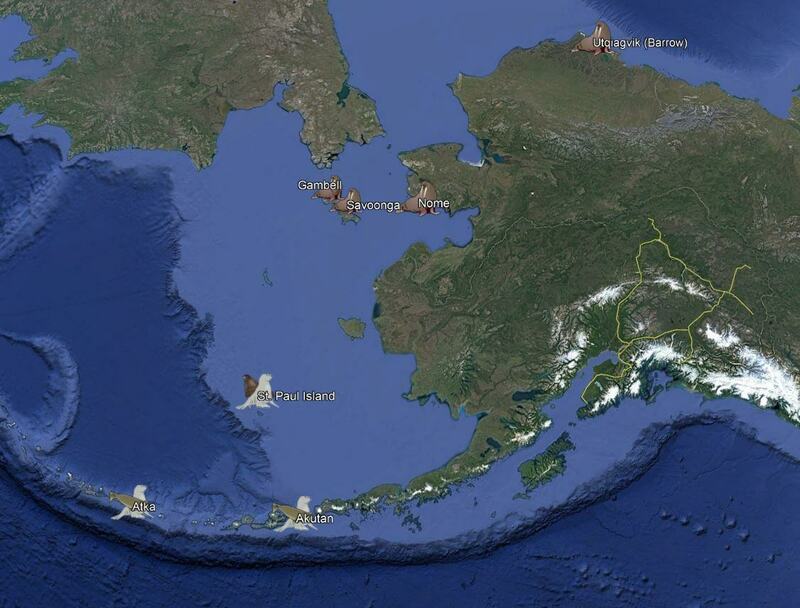 Since May, we have been conducting interviews with NMFS and FWS staff, and have met with ANO members and hunters in St. Paul, Utqiaġvik (Barrow), Nome, Gambell, Savoonga, Atka, and Akutan. 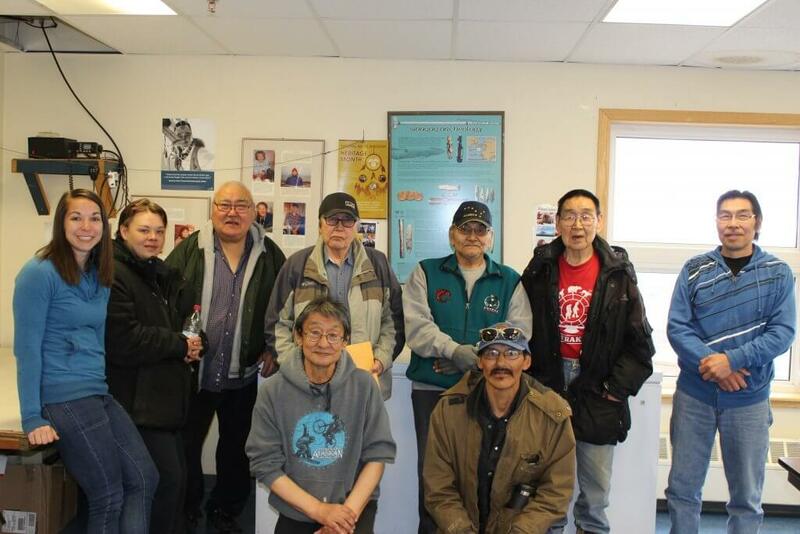 The Steering Committee helped to identify interviewees in each community we visited who were knowledgeable and willing to share their perspectives on co-management and subsistence activities. The information collected was used to develop recommendations for enhancing the effectiveness of co-management relationships and improving or creating new agreements under Section 119 of the MMPA. The Steering Committee met in early November 2018 to review the preliminary findings and recommendations. Once finalized, we will present the findings to the agencies, ANOs, and communities and develop a collaborative approach for moving forward. Locations of focus groups and interviews for co-management case studies. The 1994 amendments to the Marine Mammal Protection Act (MMPA) established Section 119 to enhance cooperative efforts to improve the conservation and management of marine mammals that are harvested by Alaska Natives for subsistence. Through Section 119, the U.S. 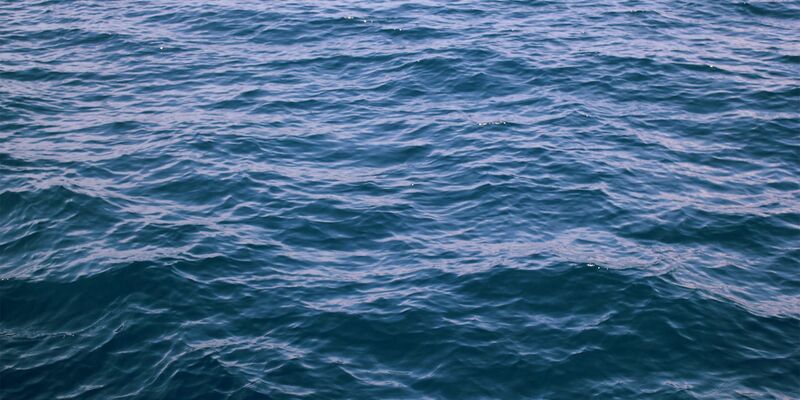 Fish and Wildlife Service (FWS) and the National Marine Fisheries Service (NMFS) were encouraged to enter into cooperative agreements with Alaska Native organizations (ANOs) for the co-management of subsistence use of marine mammal species. The goal of Section 119 is to conserve marine mammals and provide co-management of marine mammals through a cooperative approach. the recognition that Alaska Native subsistence culture faces enormous threats from climate change. During its 2016 listening sessions in Utqiaġvik, Kotzebue, and Nome, the Commission heard from community members that the quality of relationships between co-management partners had declined due to growing dissatisfaction with the co-management process and lack of adequate funding and other resources for implementing cooperative agreements. At a joint meeting with the IPCoMM at the end of the 2016 listening sessions, IPCoMM recommended that the Commission, in coordination with ANOs and federal agency co-management partners, facilitate a review of marine mammal co-management. This project was developed in response to that recommendation, and is being conducted with the support of IPCoMM and its ANO members. 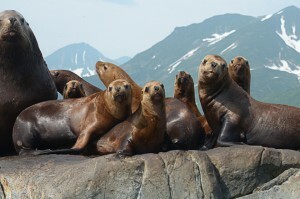 Walruses group and ‘head bob’ to investigate unknown disturbances such as predators or humans. The Curious Walrus is the personal blog of lead Principal Investigator, Jennafer Malek. This blog highlights the progress of the co-management review project as well as her personal adventures during her time in Alaska. The project also has created a Facebook page, At the Edge of the Ice: Alaska Marine Mammal News and Updates, that shares current information about marine mammals in Alaska, from scientific findings and legislative actions to public opportunities to learn more about marine mammals.